Please use ingenuity and solidarity, the team will easily complete it. 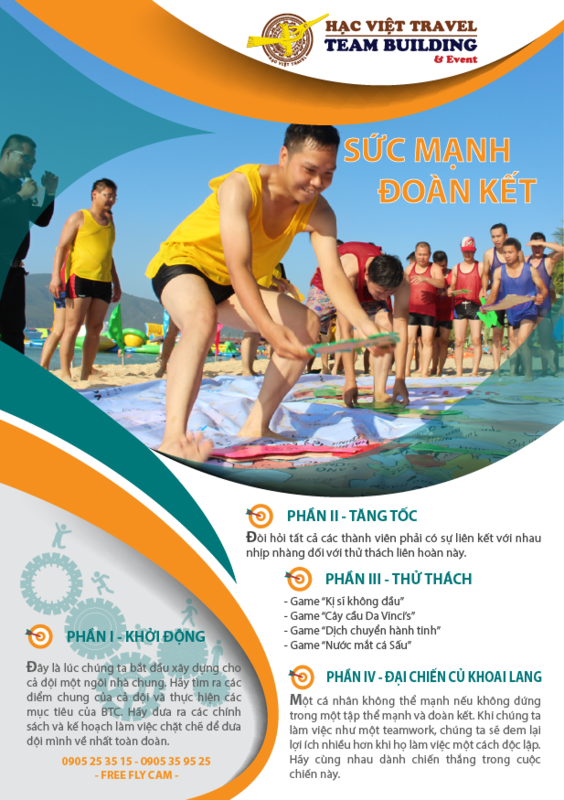 The games are not overweight, just healthy enough and the spirit of teamwork, you can do it. 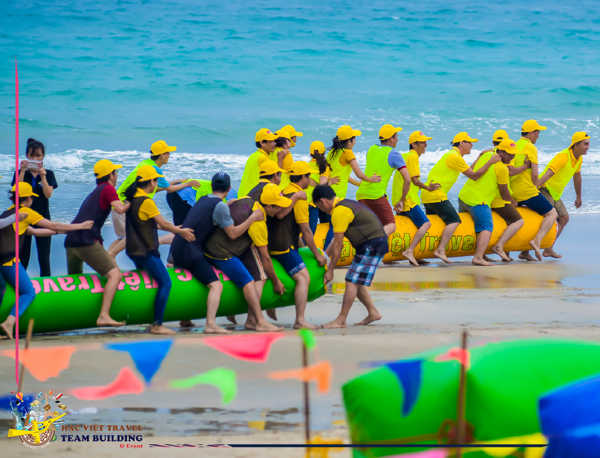 The teambuilding system is well-equipped and professionally staffed. I heard quite a lot of stories about the solidarity of ants. And indeed, ant is the most united species on earth. When the city meets with floods, people embrace sandbag husband to break into the dyke. With fire ants, they connect together to form floating rafts. It is very skillful and extremely skillful. 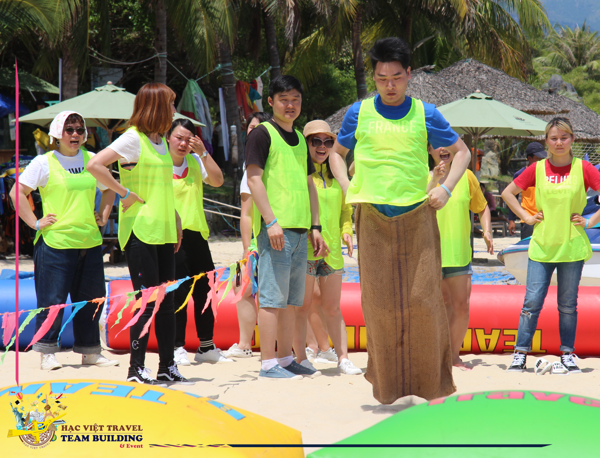 Use teamwork skill team will easily complete content team building Nha Trang this time. 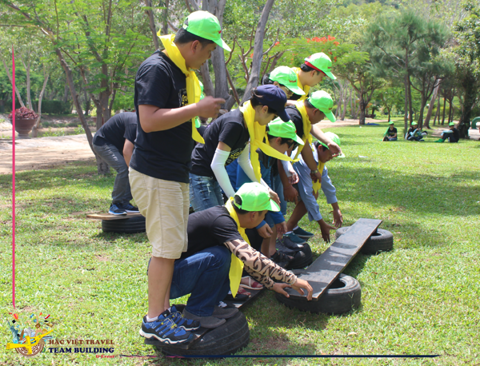 The game is not over the brain, just enough to be healthy and teamwork spirit you can do. 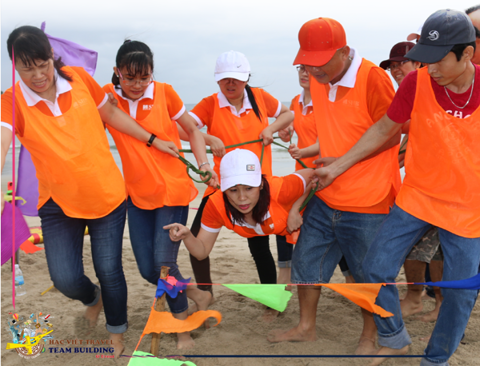 It is time we began to build a house for the whole team jointly find common points of both teams and the implementation of the objectives of the organizers. Making plans to act and win. "The Complete Truth" includes the complete game requires rhythm combination between members of team unity and team. 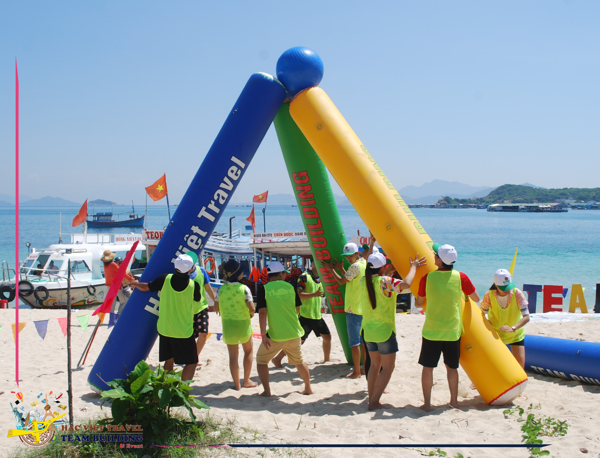 Introduction: Each team play will be received from MC 6 long floats and 1 big ball float. Mission: Each team member will be a knight who carrys on the Spear is the giant cannon tubes. The mission of all knight will use their spear moving the ball to destination point. Note: Only use the float to lift the ball, the ball to the ground will break the rules and return to the starting point. Note: The bridge must be assembled according to the pattern and the team members must take turns on the tree by the assembly itself. The rules: Each team receive articles from MC: one ball, one map ball. Mission: Teams must give the ball up a map and then move both the ball and the map on purpose. Note: During the moving, the ball do not hit the ground. The ball fell to do from the beginning. 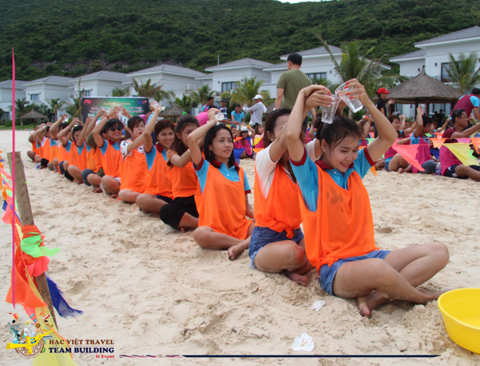 Mission: the teams played knitting wire into any shape - as long as possible for their team lies on it. 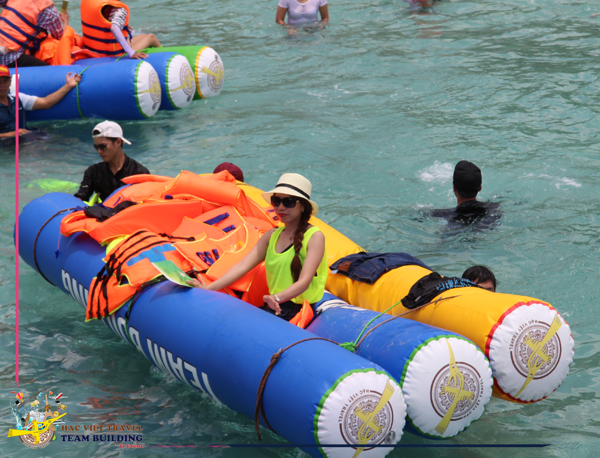 The team leader select a member who will lie on the ropes, the other one cary him to the starting line to water tank. The Mission of the person lies on the rope is taking the candies away form the tank without using the hands. One time just pick up only one candy. If during the moving, the candies fall dow your team have to return to the original level. 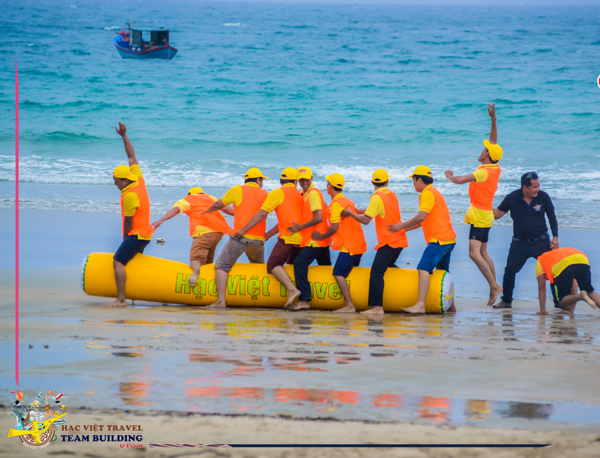 An individual can not be strong without standing in a strong as a team. 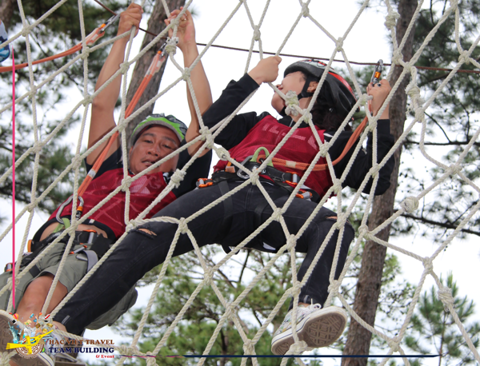 When we work as a team, we will bring more results than we do independently. 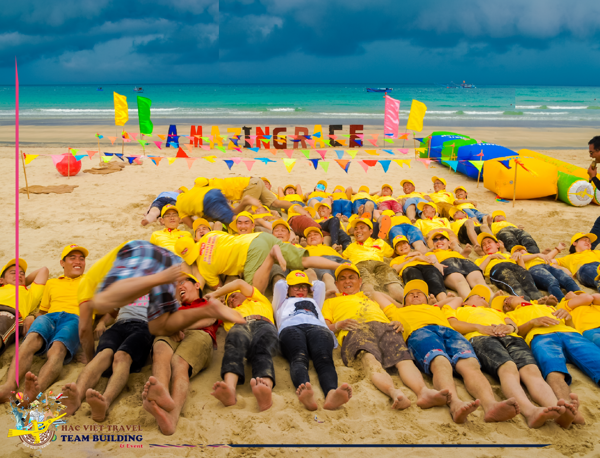 Let the team win the team building Nha Trang this time. Mission: Teams leader bake nine sweet potatoes in any way. During the baking process, the teams must fight to protect their team sweet potato against other teams stealing, throw the water ball into the potato baked potatoes. Teams that have ripe sweet potatoes will first be the winner.